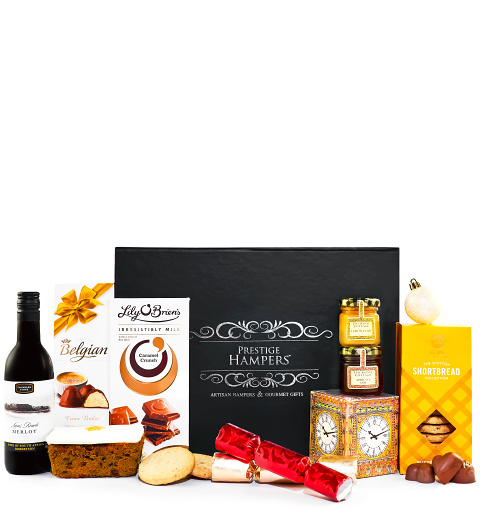 If you are looking for an elegant and decadent Christmas gift this year, look no further than our Seasons Greeting gift box. We have included the very best gourmet chocolates and treats to compliment a fine bottle of Founders Stone Australian Shiraz. All packaged in a stylish Prestige Hampers presentation case, this Christmas gift is what elegant festivities are all about!